The State of Florida intervenes in matters in which parents abuse, abandon, or neglect their children. Parent who physically or sexually abuse their children are a danger to their children and a removal by workers from the State of Florida is necessary. An abandonment occurs when parents do not provide the necessary emotional and financial support for their children; the children may have been left with third persons that are deemed inappropriate caregivers. Neglect can occur in many forms. People may live under conditions which are not deemed habitable or clean. Children may not be properly fed or clothed and it is possible that children do not go to school and their education is neglected by their parents. These are but a few examples of situations in which the State of Florida will intervene into the lives of children and provide services to the parents and remove the children when necessary. 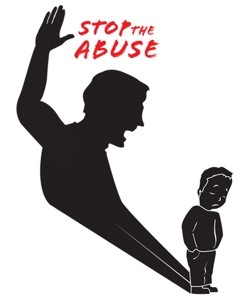 The Juvenile process commence with someone making a call to the Child Abuse hotline in the State of Florida and at that time an investigation is opened to determine whether the minor children have been abandoned, abused, or neglected… A protective Services Investigator is sent to investigate the situation and whether or not a removal is necessary and also whether a case should be filed. At this time a lot of discretion is placed in the investigator and based upon their likes or dislikes, a case either begins or is closed as unfounded. If a case is commenced a shelter hearing is conducted to determine the placement of the minor children. It is critical for the parties to request the return of their children or have relatives available for their placement. Once the Shelter is concluded, a Dependent Petition is typically filed and the parents are offered services in order to be reunified with their children. Florida Law requires Permanency or completion of a case plan within one year from the date of removal. It is also possible for the parents to take their case to Court and challenge the allegations raised in the Dependent Petitions. It is critical for the parents to complete all their services timely or the State of Florida has the right to proceed to terminate the parental rights of the parents. Juvenile Dependency and Termination of Parental Rights are very specialized areas of the law and it is essential to hire an attorney who has experience in this field, because an inexperienced attorney can cause delays and unfortunately lead to a termination of the parents’ rights.